mSpy offers the Bundle kit, basic and premium packages that you can choose from. Each of these have a license that can run for a month, three months, or a year depending on your preference (for a full breakdown please read our mSpy review). Their packages have different costs and features and you can make a choice on what you will go for after assessing your needs. 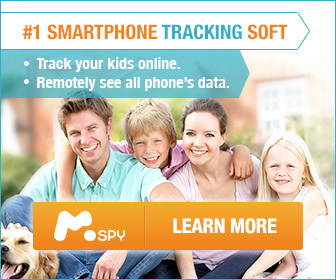 Take mSpy for a test drive by logging into the FREE demo: CLICK HERE for more information. The confirmatory email contains a simple step by step guideline that you can comfortably follow as you install the app. You can also add service mAssistance as you make your purchase. This will provide you with help whenever you get stuck so there is plenty of help available on how to install mSpy on cell phone or PC. Once you complete your order, you will receive a confirmation email that has the login details for the app. The iPhone needs to be jail broken before you can install the app. iCloud however can grant you access to the target iPhone though mSpy will only access limited features on the phone. The jailbroken iPhone will have the Cydia app which you can access from the home screen. You will enter the download link here and tap on the ‘add source’ option. Once the updates are complete you will return to the Cydia app where you will download the software from the new source. Click on ‘Restart Spring Board’ once the download process is complete. Go to the mSpy icon on the home screen of the iPhone. Then accept the license agreement that will pop up on the screen. Remove the mSpy icon if you don’t want the user to know about the app. Find the registration code on the third step of the installation guide and enter it. With this done, you can click on ‘Complete Registration’. Proceed to your online account where you will enter the phone’s number and name. Once you click on ‘done’ information from the target phone will start reaching you, making this the best cell phone tracker of the year for ease of use and installation. The target computer should be compatible with the monitoring software. The software is supported by the windows and Mac platforms. Windows 7, 8, 8.1, 10, XP and Vista are all compatible with the app. The app will run in background mode once it is installed on the target computer. When you complete the installation process on the target computer, you’ll need to reboot it for the app to be functional. Use the login details from the confirmatory mail to access your control panel. Utilise the installation wizard provided on the control panel to install the app after selecting your computer’s operating system. With this done, you can remotely view the typed keystrokes, the apps used and screenshots captured. You can also use it to monitor any installations that are added on the target computer. The control panel can be accessed from any web browser. Similar to the smartphone version, mSpy for computers requires internet connection to relay information to your control panel. Monitoring of the target is not limited to a single user. Any activity on the computer will be displayed on your control panel. The family kit offer will grant you access to numerous computers at a go. Network administrators, employers and parents will find this software useful as they can monitor activity on different devices. This will enable them to enforce rules with much ease. The different features that the app offers makes this task simple – the kids will be kept safe while employees will yield better results. The service providers offer customer support round the clock and you’ll have very little to worry about. The app will automatically update every time a new version is released to the market. No additional costs will be incurred.